The current situation, in Mitrovica, like in the whole Kosovo, is moving and changing, sometimes better and sometimes worse, time by time. Up to 2011 and 2012, people generally preferred not to go from South to North, and you can imagine it was the same on the reverse. Later on, in 2014 and 2015, fifteen years after the war, you can go walking, from the South, to the North, and many changes are affecting the Main Bridge (Austerlitz Bridge), in Mitrovica, since 2016. You can argue, this is just on your own risk: it’s just a personal choice, because you trust, you believe they will not hurt you, since you feel confident in getting there in a friendly way. You can imagine this is a consequence of both facts: it’s because the situation on the ground, for some extent after the April 19th, 2013, Bruxelles Agreement and apart from very tense periods like the electoral campaigns or the provocations’ escalations across the division, is getting somehow better. While trying to approach a social problem, especially a controversy issue, you have to identify which are the common things or the common issues that the problem and the people in that context – or the context and you in that engagement – have. You have to start from the things you know, in order to solve the problem or to allow the situation go further better and better; and, in the same way, you have to identify the things you don’t know and the topics which are under way. For example, the language: you can use local language, as a way to communicate and establish a relation with local people, but also as a tool to establish commonality and strenghten trust, build confidence and enhance security. Showing proximity or equivicinity with the culture of the place, respecting the customs and using the languages is also a sign of reciprocity in sociality. When you go North, you don’t ask to change euro while buying something; just use dinars, the money in use, and these are just one, two, or three steps to make a common understanding and open a common space for agreement on basic issues. If you don’t harm pride and respect local moods, you can establish very basic, while important, links to understand, communicate and share. After the war, 1999, and after the troubles, 2004, the situation became more and more problematic from the point of view of the inter-ethnic relations. The social environment is marked by lack in confidence, segregation and division. Sometimes, it’s better when you know somebody. Sometimes, you can also see how much cultural boundaries, more than ethnic links, count, true both sides. This is a matter for another conflict perception, even if you’ve also to consider religious affection is really a major problem of nowadays Kosovo, irrespectively of the different ethnicities. We need to face different challenges and efforts, in order to solve problems in communication, interaction and behaviour among people from different ethnic backgrounds in the entire Kosovo. As referred by Ida Orzechowska (2014) in New Eastern Europe, «Kosovo Albanian Islam is different both from… Islam in other Balkan States. It was influenced by the Yugoslav ideas and values, evolved under both socialism and cosmopolitism and is deeply mixed with the Albanian culture, very different from the surrounding Slavic cultures in the region. 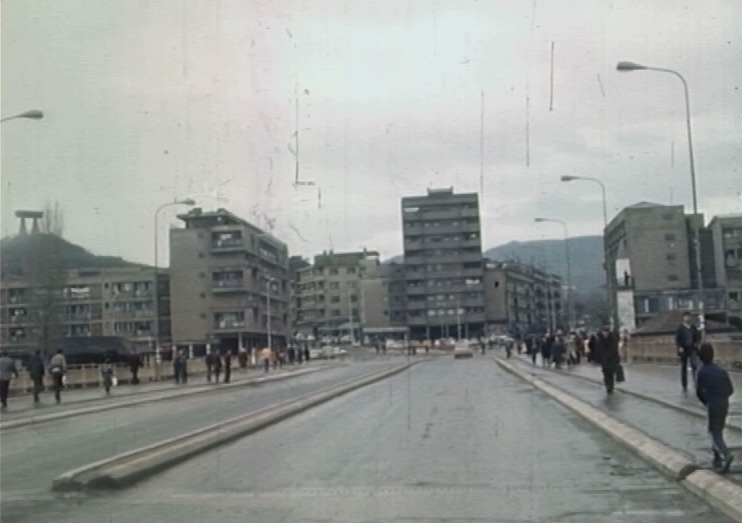 Until the 1980s, religion in Kosovo was a private thing. Under pressure from the Slobodan Milošević regime, it transformed into a nation-building and freedom-fighting issue. «Finally, after the 1999 war, and especially after the 2008 independence, Kosovo Albanian Islam once again became private and non-political. The evolution makes the Kosovo Islam very difficult to frame and control, just as – in Jeffrey Goldfarb’s words – the dismantling of the Soviet bloc was run by “the politics of small things” initiated in discussions around kitchen tables». The nation-building process of “Newborn State” and recent influences from Islamic countries, led to a crescent role of Islam and a thinning of secularism. First, you have to face the social needs of all the people living in the region and try to find a positive solution for everyone, taking into account all the different instances and the various points of view, since, when you mix different problems, you can find maybe an answer in between, in order to satisfy all the sides and solve the problems for everybody. Finally, you have to properly address the real, material and substantial, people’s needs from each side and any ethnicity in Kosovo, to work and grant sustainability in normal life conditions and hope in the future for all the people living the place, combining equity and harmony, freedom and justice, reconciling the traumas and transforming the conflicts.